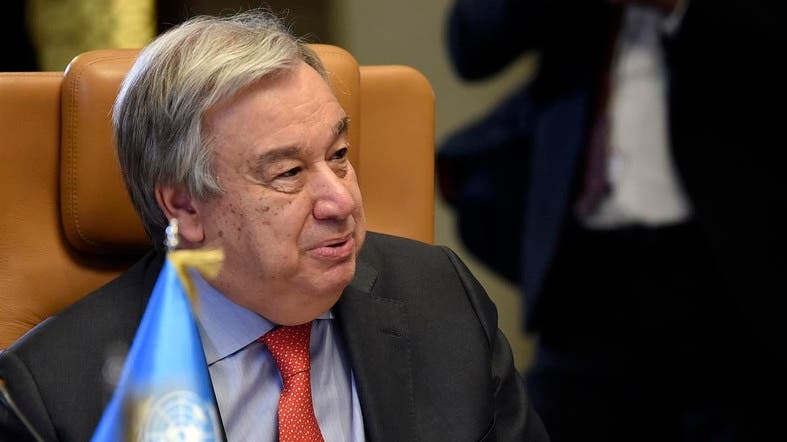 UN Secretary-General Antonio Guterres said on Sunday that he welcomed efforts towards a peaceful and democratic transition in Algeria, where weeks of protests have pushed for President Abdelaziz Bouteflika to end his 20-year rule. On Saturday, Algeria’s army chief of staff, Lieutenant General Ahmed Gaed Salah, renewed a call for the Constitutional Council to rule whether the ailing 82-year-old Bouteflika is fit to rule, a move provided for under article 102 of the charter. But his attempt to break the political impasse has failed to placate demonstrators, who reject military intervention in civilian matters and want to dismantle the entire ruling elite, which includes veterans of the war of independence against France, army officers, the ruling party and business tycoons. Several close allies, including some members of the ruling FLN and union leaders, have abandoned Bouteflika, who has rarely appeared in public since suffering a stroke in 2013. All private Algerian planes are prohibited from departing from and landing in Algeria, a source close to the civil aviation authority and the private Ennahar television station said. It was not clear why the ban had been imposed. Leading Algerian businessman Ali Haddad, who was part of Bouteflika’s inner circle, has been arrested at the Tunisian border, a close associate said on Sunday. “Yes, Haddad has been arrested,” his associate told Reuters on condition of anonymity, without elaborating. Several Algerian television stations broadcast news on the detention of Haddad, a media magnate who helped to fund Bouteflika’s election campaigns over the years. Bouteflika’s announcement that he would not seek a fifth term but that he would not quit immediately has fueled anger in the North African country, an oil and gas producer.